Hey FPG fans! I'm Ashley of ashtinafayelou and I am super excited to be here at the par-tay! My designs range from digital cards, invitations, logos, and other products all the way to handmade garlands, embroidery, jewelry and more! My goal with ashtinafayelou is to create personal, quality items that will be loved and cherished for many years, by many people! You get a one-of-a-kind creation of your favorite person. You can customize a background color (I can send a version with the background AND one with no background). The digital .pdf file is emailed to you. This means you can print it as many times as you like. Print it for your living room. Print one for the grandparents. Shrink it down and use it on cards (think of the fun you could have with Christmas cards)! So, here we go! How can you win a custom created silhouette of your own? You have 4 chances to enter. Please be sure to leave a comment below for EACH entry. Also be sure to leave a way to contact you. Tell me who you would have a silhouette created of if you win. Go to my etsy shop and pick your favorite item from my current available items OR tell me what you would like to see me create for my shop. 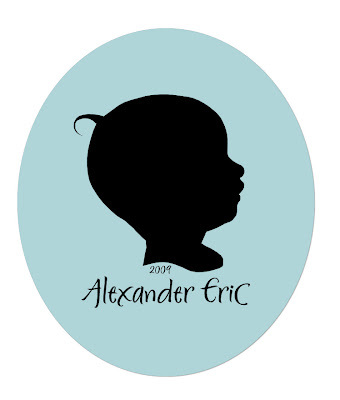 Hard to pick since I have three kids, but probably I would get a silhouette of my new baby. I would have a silhouette of my daughter. I love the pink and purple candy shop paper! I have a sweet little miracle baby, and I've been wanting a silhouette of her! I love the rainbow dot mobile!! I would definitely get them of my two little girls. Perfect Christmas presents! Lovin' the Rainbow Dot Mobile. Super cute! Probably would do a silouette of our littlest one. I love the Raindbow dot Mobile! So creative!! I'd have one done of my daughter. I like your Printable Paper and More- School Days, the primary colors are great! I would have it made of my 2 month old baby boy! I like the printable scrapbook paper. What a good idea! I'd definitely get them done of my kids! The the candy shoppe scrap kit! I would have it done of my boys! I like the rainbow dot garland. So cute. I would love to have a silhouette of my son! Printable Scrapbook Paper and More-Candy Shoppe Set is my favorite! Honestly, my favorite is the children's silhouettes. Precious. I would love a silhouette of my teenaged son. I think it would be neat to have a silhouette of your dog...perhaps that is somthing you can add for your shop. I'd like a silhouette of my daughter; she'd love to hang it in her room. I really like the colors and patterns in the Bejeweled Damask Printable Papers from your etsy shop. Oh, gosh!!! 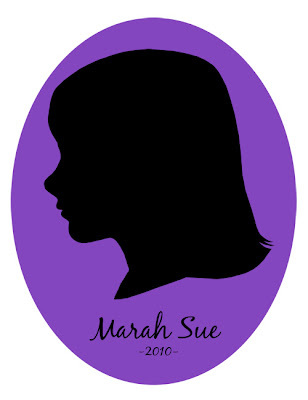 i am so excited about this because I have been wanting a silhouette of my daughter for so long!! Thank you for the chance to win! I am your newest follower! I would have a silhouette of my son done. That would be an amazing keepsake! Love, love the Rainbow Dot Mobile! I would love to have one for Daniel Jr for his first birthday! I think the Rainbow Dot Mobile in your Etsy shop is really cute! Hey ms ash! I barely am making this one! Glad I got on fb tonight! I definitely want a silhouette of my little ryder roo for his wall!